There still hasn't been a public announcement (nor has the app been updated), but yesterday Apple made it official. iBooks now supports the advanced formatting options, interactive features, and embedded content found in the new Epub3 book format. This makes the app the first commercial commercial app to support the new format - only it doesn't, quite. 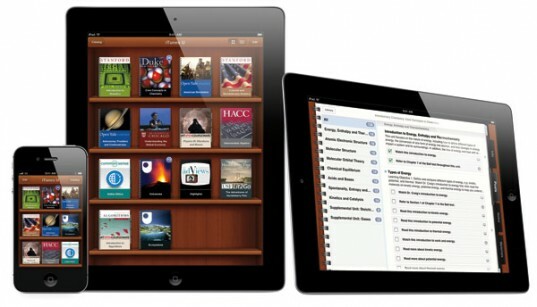 iBooks and the iBookstore now support EPUB 3 for flowing books. EPUB 3 includes new features to enrich your book including the pop-up footnote functionality. This is good news, yes, but it's not quite true. I spent yesterday evening playing with Epub3 demo files, and it turns out iBooks still doesn't completely support the new standard. Several of the demo files didn't work, including one which was supposed to include a quiz widget. iBooks also failed to display the MathML demo correctly; that is in fact one of the core requirements so if it doesn't work then the format arguably isn't supported. The current Epub3 support dates all the way back to January, when Apple launched iBooks Author. I'm not sure it was ever mentioned outside of the digital publishing community, but techies have been playing with the new features for some months now. Apple neglected to mention it at the time, but the new iBooks 2 app was released with partial support for the new format. In any case, this is still big news; by making it official Apple is going to encourage their competition to get off their duff and complete their own apps. It moves the sale of EPub 3 ebooks one step closer to reality, and that's a good thing. On Books: Are Indie Authors Doing the Best They Can? Come on! Of course it supports ePub3! Apple said so, no? Who are you to say otherwise? Guido retired back in 2009. Apple replaced him with the FBI and SFPD. I’d love to see some sample code implementing the pop-up footnotes. Seen any in the wild? Scroll up. I linked to the IPDF’s collection of demo files in the post. Considering that WWDC is next week, iBooks.app’s last update is from April 16th, I think it’s not unreasonable to assume that this refers to a new version that’s to be released during the WWDC. I’d hold on a week before I’d waste time testing. True, but this bit of news happened a couple weeks ago. And the limitations and abilities of iBooks had been worked out over a month ago. Yes, it’s up! I’ve recently completed a graphic novel on epub3, comes with animation, sound bites, fixed layout. I think it’s great!